Seven score and ten years ago, our forefather stood before a gathering of citizens on hallowed ground to dedicate the National Cemetery at Gettysburg. You know his speech to be the Gettysburg Address. President Abraham Lincoln spoke only 270 words in what is regarded to be perhaps the most famous and most excellent of American speeches to have ever been made. 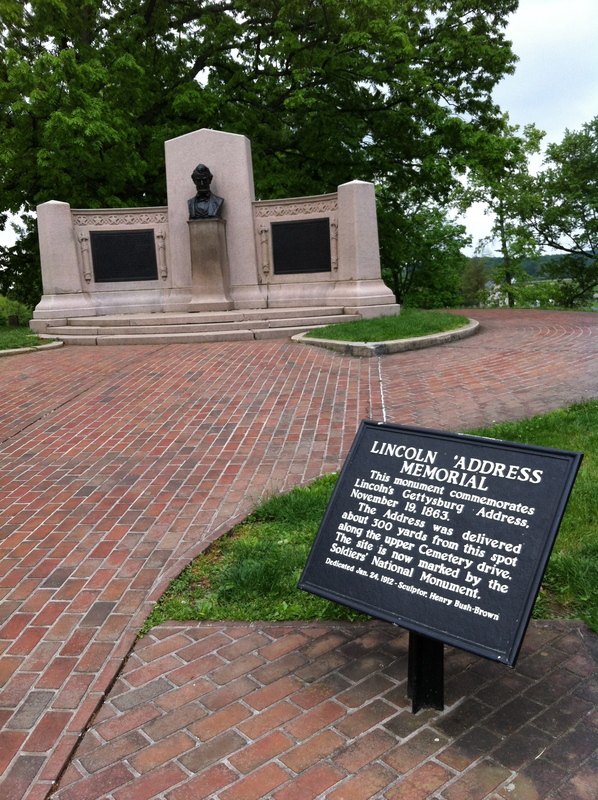 Approximately 40 yards away from this memorial was the traditional site of Lincoln’s address. That was 150 years ago today. November 19, 1863, President Lincoln summarized the Civil War in ten sentences. Appropriate, sincere, poignant. It was indeed chilling and surreal to walk those hallowed grounds of the National Cemetery at Gettysburg. Now, 150 years later, we still remember Lincoln’s words. They ring in our ears as we fight different (yet the same) wars both abroad and at home. His words are immortal. Let me move you from historical to personal. If you knew that in 150 years your words would still be alive, would you speak differently? I probably wouldn’t have spouted off when I got parked in this afternoon. I don’t think I would have said that sarcastic quip about my current living situation. And I might not have allowed that complaint to find its way out of my pen onto my notebook. In 150 years, what will your words be remembered for? My prayer is that mine will be “always gracious, seasoned with salt” (Colossians 4:6), and “only what is good for building up as fits the occasion, that it may give grace to those who hear” (Ephesians 4:29). In 150 years, what will you be remembered for? Excellent thoughts… penetrating question… it should make us think twice; speak once… more often.